Right on cue, a beautiful bloom lights up the garden. No drawing, painting, portrait or photo can match the beauty and detail of nature’s paintbrush. Thank you Mother Nature for providing another spectacular peony show in the garden. The yellow tree peony is just beginning to blossom now too! 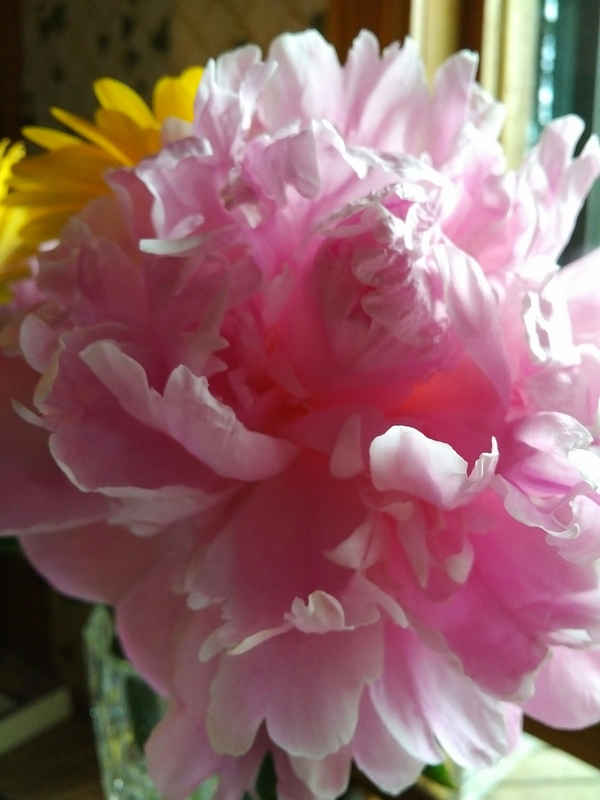 For me, nothing in the garden is more beautiful then the peony. Maybe it’s the memory of my mother’s garden in days gone by, but peonies hold a special, central place in my heart, mind and eye when I scan the late spring, early summer garden. Peonies don’t last very long, but the flowers do make for long-lasting indoor bouquets.